Repeats – Music Theory – Part 15a is the next article in the overall series Scales in Music – A Tonal System and it is in Level 1 of the Music Theory Section. This is the first of four parts of a mini-series of articles about the various repeats as used in music and music notation. The mini-series specifically addresses repeat symbols used on the staff, over the staff, the navigation words placed over the staff and note and rest repeat symbols all of which fall under the category of repeats in music. Part 15b reviews repeating sections and partial sections of music.These are more commonly known as first and second endings. Part 15c reviews other words and symbols which help to navigate a composition especially in larger orchestral works. Part 15d reviews repeating notes, rests and measures. 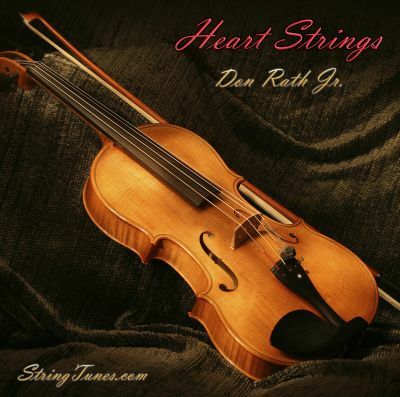 All of the articles are important and necessary to more fully understand the various concepts surrounding replaying certain portions of music or when there is a need to repeat measures, notes and rests. Let’s get started now with Repeats – Music Theory – Part 15a. My very first manufacturing job was working on a paint line in a factory in the Midwest. My specific job was to place parts that were manufactured in the factory onto hooks. Then I had to place the hook with the parts onto a movable overhead chain which moved throughout the paint department. After that I had to go to the end of the line where the parts had been painted, remove them from the paint line and place them into a container. After that I returned to the beginning of the paint line and started all over again. I had to repeat the same action until someone or something caused or directly stopped me, such as a break, lunch or quitting time. Fun hey? I made a pact with myself never to do that again. In a music composition, there are musical phrases, sections and in fact entire pieces written where repeats occur periodically within the them. There are specific symbols which direct the performer on when and where in the score they should begin repeating a previous section or part of the music and where the repeating should end. Some of these symbols are placed on and become a part of the staff lines which are covered in this part of our presentation. Others are placed above the staff and offer direction to the performers. Some of these are included here as well. 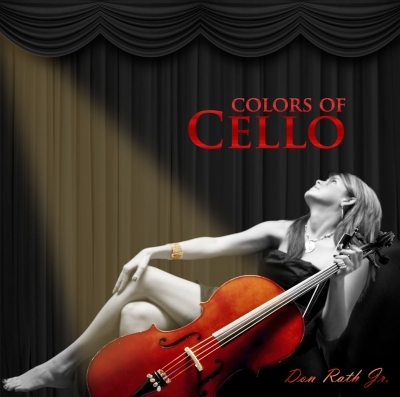 All of the various means which a composer can use to cause a part of the composition to be replayed will be presented in both parts of this mini-series of articles. 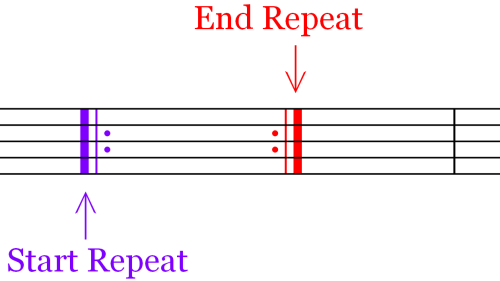 Repeats are used frequently in fact, there are many occasions when repeats are used in music so it is important to understand the various means by which this type of communication occurs between the composer’s written music and the performer. We can begin our discussion about repeats as used in music composition right where we left off in Part 14 on the concept and symbol for the final ending. 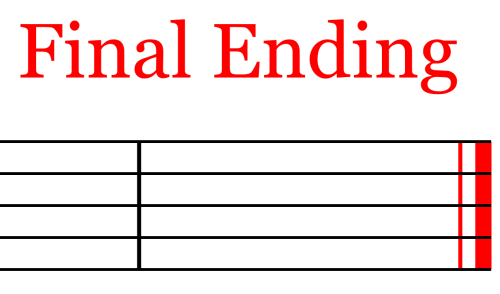 In that article Barlines – Music Theory – Part 14 we presented the final ending chart as shown below. It is shown here to refresh your memory or to introduce you to it. To restate its meaning, this is the final ending of the composition. The Artist or Performer stops, in fact, everything stops and hopefully the applause begins! There are two changes that can be made to the final ending symbol. One is called the end repeat and the other is called the start repeat. Let us now explore those changes, the instructions to the performer and the overall impact of placing them within a music composition. End Repeat – Sometimes we may want to repeat the entire composition from start to finish and there is a device in the symbolic language of music that does just exactly that. Even though the changes made to the final ending symbol are small in nature, the impact of making the change is considerable. The chart below shows the altered final ending symbol. Description – Let us first take a closer look at the simple changes made to the final ending symbol and we’ll explore what the impact is as a result of making the changes. The first change is simply graphical. It includes adding two dots which straddle the middle line (B) of the five line staff. They are also placed to the left of the thin line portion of the final ending symbol. The End Repeat is used to instruct the performer(s) to immediately return to the beginning of the composition, where the performer starts over and plays through to the end of the work. In this case, the end repeat is placed in the same location as a final ending symbol as shown below in this two measure chart. Lastly, there can be any number of measures in between the start of the composition and the final measure or the measure which has the end repeat symbol. The new symbol adds choice to the composer’s list of tools and alters the instruction to the performer. Let us explore this point now. What is interesting about the end repeat is that it can be placed anywhere within the composition. The end repeat is not locked into the last measure of music like the final ending, unless of course, that is what you want. The real advantages of exercising the optional placements for the end repeat symbol include fulfilling a need to repeat only a portion of the composition. With this tool you can do this. In fact, you can repeat any number of measures anywhere within the musical score. This is an important and highly beneficial feature of the end repeat. What it Does – If the end repeat is not influenced by any other mark in the score, it instructs the performer to start at the beginning of the composition and to repeat all of the music from the start back to the end repeat where it then acts as a final ending. In our two-measure example above, due to the end repeat the performer plays for a total of four measures, two measures as usual, moving from the start to the repeat line, and two more repeating the original two measures. Understanding this sequence is important as other repeats do different things and you’ll need to understand each of them in order to use them properly. To restate, the second important point to make about the end repeat is that it is indeed movable so we can add more choices in how the music is performed. Let’s explore that concept now. When the end repeat is placed away from the final measure something else happens. In this next chart the performer follows the instruction of repeating the previous music and at the beginning of the score, just as before. So, the performer returns to the beginning and begins to replay the music. The second time the performer comes to the end repeat symbol the performer plays through the end repeat to the final ending. In other words, rather than perform the repeat again, the symbol is simply ignored the second time through. This time he or she continues playing the music in the next adjacent measure and continues playing through to the end. Keep this second variation in mind as it is different than the previous use of the end repeat and therefore it is used as an alternative or a second choice, if you will. The chart below demonstrates the placement of the end repeat prior to the final ending along with a graphical display showing the influence of using the end repeat prior to the final ending. The performer always plays the music in a linear fashion from start to finish. The use of the repeat symbols changes only the sequence of what is being played not the content, notes, rests and other markings, placed within the measures of the composition. This includes those notes placed on ledger lines both above and below the staff. The Start Repeat – Let us now proceed to the second repeat symbol called the start repeat. The symbol for the start repeat is similar to the one used for the end repeat but its shape is reversed as shown in red in the chart below. The second chart shows a direct comparison of both the start and end repeat symbols in a single measure. Description -The symbol for the start repeat (in purple) is a mirror copy of the end repeat (in red). All of the components are sequenced in reverse, the thin and thick vertical barlines are reversed and the placement of the two dots are placed to the far right of the thin vertical line as shown above. Placement – The chart below shows the optional placements for the start repeat symbol. The shape of the symbol is all the same but its placement can vary as shown. For now, let’s remember that the end repeat activates the repeating process.The three symbols we have just reviewed include the final ending, the end repeat and the start repeat. Certainly the graphical changes are minimal and as we have show the influence to the compositions performance sequence is far greater. The chart and the audio clip below provide a clear understanding of the impact of using both of the repeats. In this example, the start repeat is placed at the beginning of the four measures. We have used the half note and the quarter note at the tempo of Andante 80. Please match your visual focus on each note as it plays. Once you get to the last note (G) the repeat kicks in and the audio continues all over again at the start repeat or the C note at the beginning of these four measures. In other words, the melody will begin and continue to the repeat symbol in measure 4. 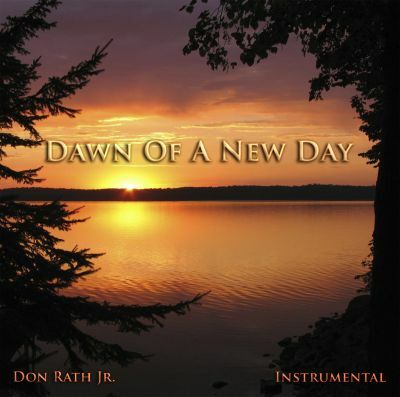 The melody will begin again and continue through the end repeat the second time and continue to play the music beyond the end repeat, in this case, the partial measure shown on the far right. Further, by using this additional tool, the start repeat symbol within a composition, you are not locked into repeating all the way to the beginning of the work which offers the composer an additional tool to include in his or her toolbox. The start symbol can be placed on any measure within the composition not just the first measure. There must be an end repeat after the placement of the start repeat. In other words if there is no end repeat then there isn’t any reason to place a start repeat symbol in the composition. The Action – When placing the start repeat away from the beginning of the work, another action is used as shown in the chart below. By altering the placement of the start repeat we change how the performer plays the music. First, the performer begins playing the music at the very beginning proceeding until the end repeat symbol shown in red. Then the performer returns to the start repeat shown in purple and continues playing through to the end of the music. This action is similar to the first example where the end repeat causes the performer to return to the beginning of the music but in this example the performer only returns to the measure where the start repeat is placed, the second measure. By using this set-up the composer can repeat only those measures intended to be repeated rather than the entire composition. This type of repeat set-up can be used for any number of measure including one measure, a section of music or as many measures as is needed to create the intentions the composer wishes. All Together Now! – Let us now look and listen to what these concepts mean in a more meaningful way when using the two repeat set-ups. We will use the same single melody line but use each of the set-ups separately with mp3 clips to demonstrate them. Please follow the notes with your eyes and listen to each of the two audio clips comparing the action caused by the repeat set-up. Here is the first one. The performer begins playing and continues to the end repeat, returns to the beginning and plays through to the end. Now, notice the differences between our first example and the second example. 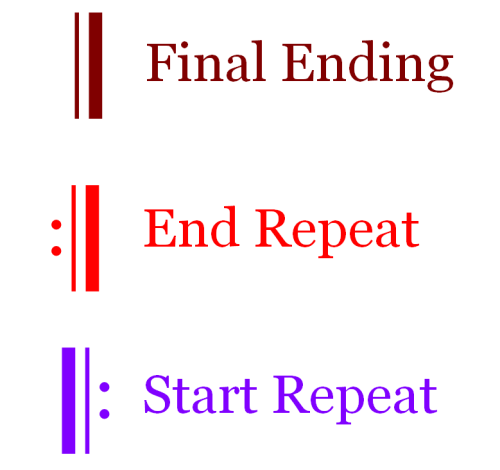 The performer starts out at the beginning, plays to the end repeat shown in red, starts over at the start repeat shown in purple and plays through to the end shown in reddish brown. Take notice that the first measure is not repeated because the start repeat was placed after the first measure. Both of these repeat set-ups are classic examples of the use of repeats in music notation. Again, the repeat principals shown in the two examples hold true regardless of the clef the music is written in. Music composition has a lot of tools, variables and choices a composer must be quite familiar with. After all, the real challenge of a composer isn’t simply composing new music, it is to be able to notate the music he or she hears in their head, repeats and all, write it down with some semblance of what they actually hear inside. The magic of notation really is no magic at all. It is simply a language used to communicate ideas. It just happens to be the symbolic language of music. In essence that is what music theory is in regards to music notation, learning the language so you can match the symbols to the musical ideas you think about inside your head. Here is a quick review before we begin reviewing the next part of this mini-series on repeats used in music. Review – The end repeat is not the final ending symbol and so it does not perform like one. The end repeat performs a dual function by instructing the performer simply to start over again from the beginning, repeating the section of music that has just been played, and it acts like the final ending if no additional music is placed beyond the end repeat and if no other directing symbol or mark is used. The symbol is the instruction to the performer to repeat all or a portion of the music depending upon the placement of the end repeat within the composition. The start repeat is used to block off that portion of the music before the start repeat and to play from the symbol to the end of the composition. One thing I hope you have gotten out of this article is the differences between the various repeats and how to use them. Due to the differences between them it is important to know and understand each as well as how to use each in music composition and notation. 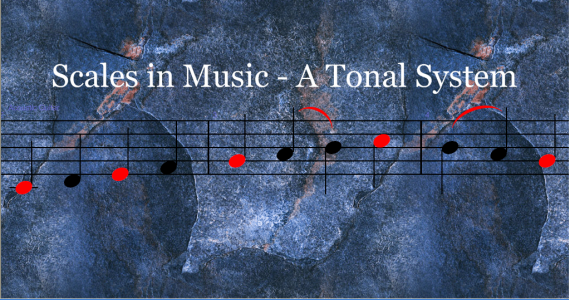 This concludes Repeats – Music Theory – Part 15a of the overall series Scales in Music – a Tonal System in the Music Theory Section – Level 1 collection of articles. As mentioned earlier, due to the nature and the many ideas and concepts used as repeats in music, we have added three additional articles to the music theory article series about them. The next article in the Music Theory Section – Level 1 group of articles is a presentation on additional symbols and markings used generally in the same way as those presented in Repeats – Part 15a. They are not staff lines as such but they represent clear instructions for the benefit of the performers. We will be focusing on the additional markings used above the staff which direct the performer to repeat a specific section or part of a section within a composition. The title for the next article is, Repeats – Endings – Music Theory – Part 15b. It is an extension to this article and delves deeper into the repeats as previously mentioned. Please proceed to Repeats – Endings – Music theory – Part 15b. Note: All charts and mp3 clips used in this article were created in Sibelius Music Software and Steinberg’s Wavelab.